Image Gloss White offers a glass like finish on coordinating Gloss White cabinets. 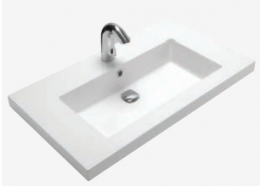 The HA870 chrome offset handles, Volpi basin accompanied by the Luxor Black laminate worksurface plus splashback. The treviso 2 door mirror cabinet features the exclusive Star overlight. 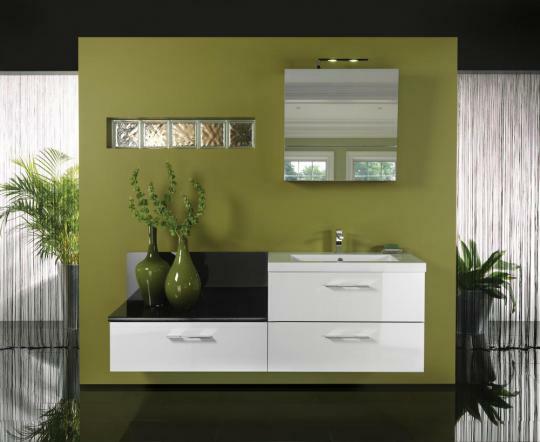 Image Gloss White shown here on the right on the coordinated Combi Space Saver WC cabinet. 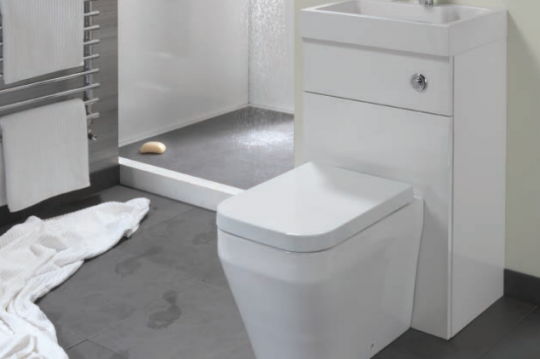 Designed to fit in the smallest of spaces but equally happy in a streamlined en-suite, offers full facilities and is available in all colours within Eco Bathrooms.